Sometimes the cleanliness of public laundry facilities can be, ah, questionable. For that reason we have added the Panda Washer and spin dryer to our Keystone Hideout. 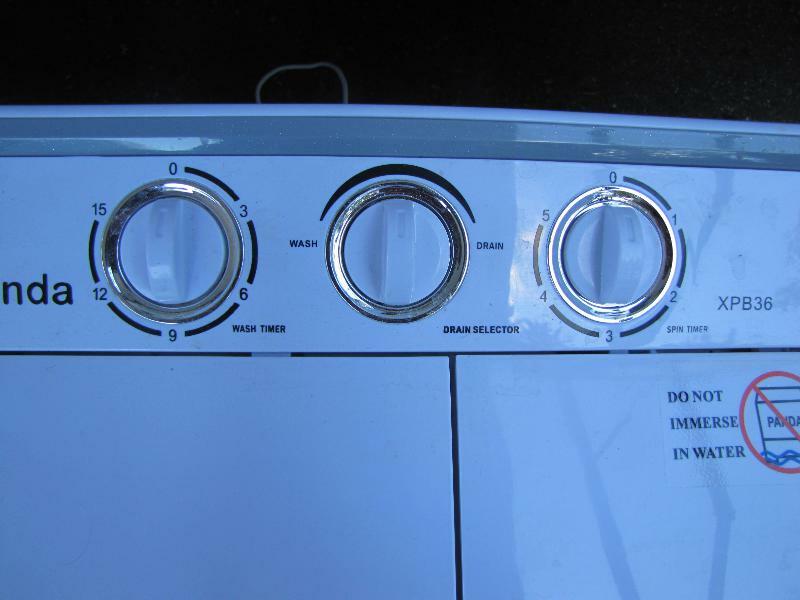 The machine measures 23″ wide x 14.5 ” deep x 25.5″ tall. This slick little unit does a good job with the laundry. Now understand that the Panda model XPB36 is for small loads of clothes. The rating is for six or seven ponds per load. Realistically that ends up being a pair of jeans and maybe a couple of t-shirts. However, if you do a load or two every other day you can stay ahead of your laundry while on the road. It will handle a pretty good sized load of undies and socks. No, it is not a washer dryer combo. 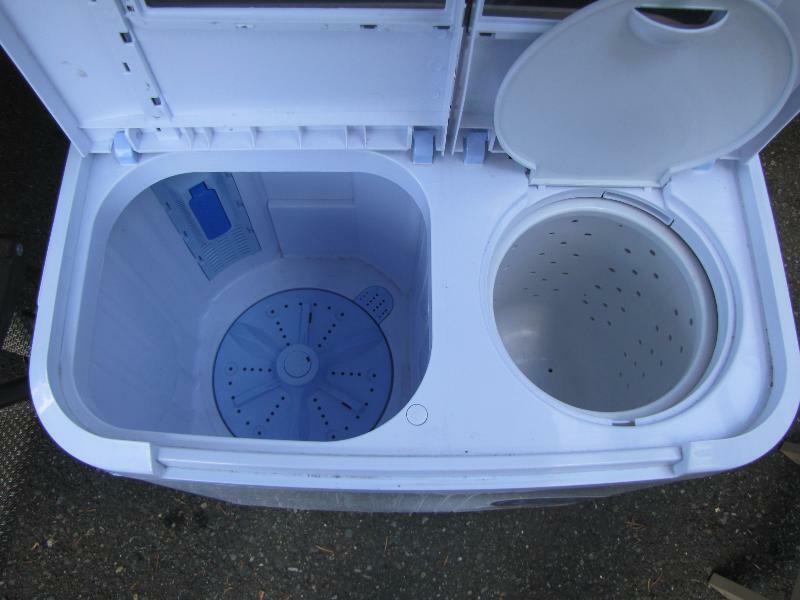 It is a washer with a powerful spin tub. This spinner really takes the water out! Clothes feel almost dry at best and just damp at worst, depending upon the material of the item. You can hang the damp clothes outside or even inside in case where you are does not allow outside drying of clothes. We put our Panda in the shower for use. With a good extension cord we can reach the wall plug outside the bathroom door. The handheld shower head makes it easy to fill with water, and it drains right into the tub drain. That’s the good. Now the almost bad:it takes two spins for every full load of clothes. The spin basket is about half the size of the washing tub. Sometimes we will wring out some of the water before we spin them, especially on the heavier fabrics like denim.